Using validated instrumentation and COREscore reporting as an essential practice growth strategy. If we look back in the history of chiropractic practice development, we can see that the greatest challenge for practitioners is in the shift from back pain management towards full spectrum care and wellness. “Connecting the hipbone to the Universe“ may seem a bit trite but therein lays the real challenge. Chiropractic was never designed to be limited to a spinal care model. It’s positioning over the years in the healthcare marketplace has pigeon holed it in the therapy section of patient care. However, when polled, chiropractors see themselves as the legitimate providers for not only spinal care but for full spectrum wellness care. Looking forward, it can be seen that societal pressures on health care funding, rapidly increasing levels of morbidity in the health of entire nations coupled with a growing desire by families to be more connected to natural solutions, all combine to create the ideal opportunity for chiropractic practice development. The marketplace that chiropractic finds itself in is cluttered with back care providers. When one looks at the options for managing back or neck pain they will have to choose from physiotherapists that can manipulate, massage therapists, kinesiologists, athletic trainers, acupuncturists, nurse practitioners, orthopedists, neurologists and of course GP’s dispensing anti-inflammatories and pain meds. Originally, chiropractic was positioned to look at the whole health and functionality of a human being. By focusing on the wisdom of the body to adapt to daily or damaging stress, chiropractic found its niche against the backdrop of the ever-escalating drug empires of medicine. It was the perfect placement at perhaps the wrong time. When chiropractic hit the marketplace it was at a time when the“miracle” drugs were changing mankind. The future of humanity lay in the hands of those that could dispense with better meds. As we all know, chiropractic got relegated to Ho-hum status that a few percent of the population repeatedly endorsed. But behind all of that confrontational noise was the enduring message that chiropractic was the obvious and logical choice. As the decades slipped by, the medical and pharmaceutical empires shifted to altering brain function and took on the cancers of the world. People became numb to the idea of one more drug in their bodies until the inevitable came about. The more meds that arrived, the more confused the body became. Gradually, the reality of failing family health combined with an over-dependence on medical intervention has opened the door for the chiropractor to be viewed as the responsible, trusted advisor for the drug-less management of stress related health and performance issues. Stress is not evil. Stress is an inevitable part of being human and helps us discover and enjoy the richness of life. The overwhelming, cumulative effect of unmanaged stress creates the dangerous state known as dis-stress. This is where the body is coping without necessarily triggering overt symptom profiles. Long before the body erupts in noticeable inflammatory states or metabolic breakdown, there has been a progressive attempt to adapt to the new loads being imposed on the resources of the body. The General Adaptive Potential or GAP has been challenged and compromised. It is within this principle of GAP that chiropractic can flourish. A healthy, functioning, adaptive and responsive nervous system keeps the GAP wide enough to experience the wide variety of life’s moments. Damaging stress from injuries, poor nutritional choices, medication use and emotional chaos narrow the GAP while positive stress like exercise, coping, and energy-based nutrition widen the GAP. Chiropractic adjustments are the essential foundation for increasing adaptability. Combine this with watchful and progressive care planning, responsible advice and accountability towards excellent outcomes and you have created an undeniable attractive option for families and individuals seeking wellness care vs. sick care. “Linda, your spinal core is built in three layers. The outer layer is made of muscle and the middle layers are the bones and joints of your spine. When the daily grind catches up to you or when you overwork or get injured, the muscles and joints of your spine begin to feel and respond to those stresses. Muscles tighten in layer one; joints lock and misalign in layer 2. You definitely have a back problem. As a chiropractor, my greatest concern is whether those stresses that you feel in your spine have gone one layer deeper and are affecting the nerve control layer. Layer 3 is made of the nerves that your body to your brain and organs. Stress that affects this layer changes your entire health. You no longer have a back problem; you may be developing health issues. This layered approach has been linked to the earlier comment of connecting the hipbone to the Universe. Once a patient recognizes the connection of the spine or spinal symptoms with the central nervous system, the chiropractor can begin the inspiring work of advising, adjusting and planning with the patient as they progress. There is much to be gained when observing how successful medical practitioners report their test results. Using the body’s biomarkers, the medical model measures the patient’s health against numerical standards. Ask any patient and they can recite their cholesterol score, their blood sugar values or their BP. Ask them what their spinal stress score is and it draws a blank… until now. CLA has developed a proprietary spinal neural efficiency index known as the COREscore. It is a weighted combination of the world’s leading tests that measure the efficiency of the motor, sensory and autonomic divisions of the CNS as it functions within the spinal core. Muscle tone is used to evaluate the motor signaling efficiencies along the paraspinal musculature. Static EMG readings taken in a controlled environment are then blended with thermal sensor readings. These incredibly accurate readings from the NeuralTherm identify when temperature imbalances are present along the spinal nerves. This gives the practitioner an insight as to where that layer-3 stress is spilling over and affecting the connections to the blood vessels, organs and glands. Finally, an overview test known as Heart Rate Variability, analyzes the balance between the parasympathetic and sympathetic nerve control systems. This test alone is a game changer in daily practice as it benchmarks the cumulative effects of unnoticed and unmanaged stress. Using proprietary weighting formulas, these three tests are combined to give the clinician and the patient one score to use a reference to the size of the GAP they can operate in and most importantly a single number that they can track their progress against. A visually appealing report helps the patient see where their COREscore rates them against health and wellness standards. This rating is then used in care planning and goal setting. It’s common for a doctor to make recommendations that cover 4-6 or even 12 months based on the goal of raising their COREscore. As the score rises, the patient is naturally becoming more adaptable, less stressed and their entire nervous and spinal system is learning to maintain and grow more efficient and powerful. Spinal nerve scanning and the COREscore represent the essence of the chiropractic philosophy. Linking those principles to evidence-based instrumentation and validated reporting shifts the image of chiropractors from back care providers to natural health and wellness doctors. The marketplace can be unforgiving to those that don’t recognize trends. The positioning of a chiropractic practice is the single-most important decision a DC can make in their career. How the public perceives your value will determine the ease and capacity of a practice’s success. Aligning the clinic’s message with one of stress- management, functional movements and healing while using advanced instrumentation and reporting attracts families and individuals searching for a path away from drug dependency towards vitality, performance and longevity. Success in chiropractic follows those who see themselves as trusted advisors and who use the right tools to confirm the “real reason to believe” that stress is affecting how a patient feels and performs. 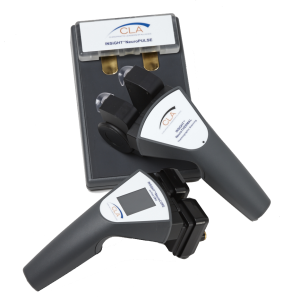 CLA has been developing instruments and reporting systems for chiropractors for over 20 years. 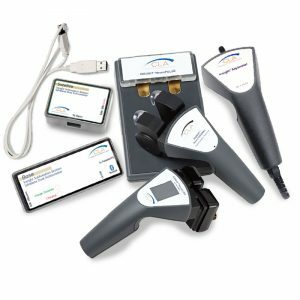 Its technologies are used in over 40 countries by over 7000 doctors to help chiropractors align their passion for patient centered care with the power of the chiropractic adjustment.